After the government incorrectly paid out thousands of dollars in EI payments, a jobless man was told he had to pay the money back, plus thousands more in taxes. 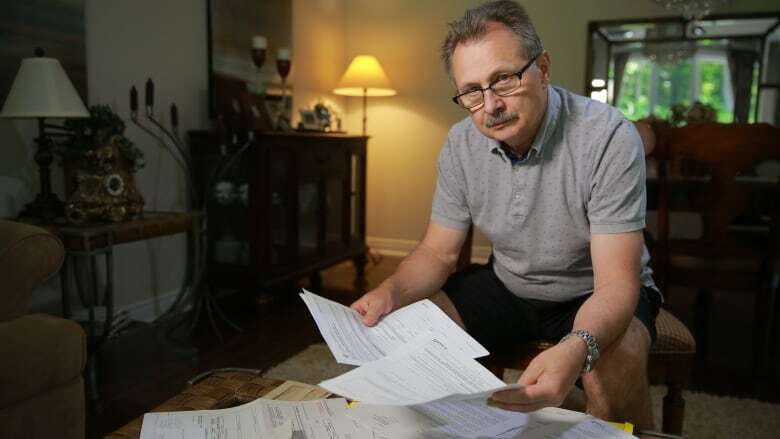 When a government blunder put more than $14,000 worth of employment insurance payments into Zbigniew Kazmierczak's chequing account, he knew he'd have to give the money back but never imagined he'd also be on the hook for thousands of dollars more in income tax. That extra tax bill wasn't a miscalculation, it's part of a standard policy. Service Canada says it's required to collect income tax on EI payments — even those issued in error. The Burlington, Ont., man's situation is an example of bureaucratic rules that "defy common sense" and put the burden of fixing government mistakes on Canadians, says Aaron Wudrick from the Canadian Taxpayers Federation. In certain circumstances, EI recipients can apply to get the money back, but Kazmierczak said that option was not offered to him until Go Public contacted Service Canada. "Where an overpayment has been made in an error by the government, a tax reversal can be performed, on a case-by-case basis to address the error," a Service Canada spokesperson said. Kazmierczak lost his IT job in 2017 when the company downsized. He applied for employment insurance and was told he wasn't eligible for benefits until 2019 because he received a severance package from his former employer. In May, Service Canada paid anyway, depositing a total of $14,756 into Kazmierczak's bank account. Three days later, he was informed of the mistake and told by the Canada Revenue Agency he should return the money plus an extra $2,077 in taxes. Service Canada "admitted that there was no fault on my account, yet I had to give back to the government over $2,000. That's not right," he said. Kazmierczak was told by both Service Canada and the Canada Revenue Agency when a payment mistake is made, the receiver is on the hook for the incorrect payment plus taxes, Service Canada said in response to emailed questions. Kazmierczak paid the money to avoid penalties, then filed two appeals to try and get it back. Both appeals — a request for reconsideration and one through the Social Security Tribunal of Canada — were denied. "Basically, their whole position is they do everything according to the procedures. What kind of procedure is that if I didn't get a penny from EI and they ask me for $2,000 more in return, I mean that's unbelievable." After Go Public contacted Service Canada, it reversed its decision and returned the $2,077 to Kazmierczak, blaming an "administrative error" for the initial deposit. 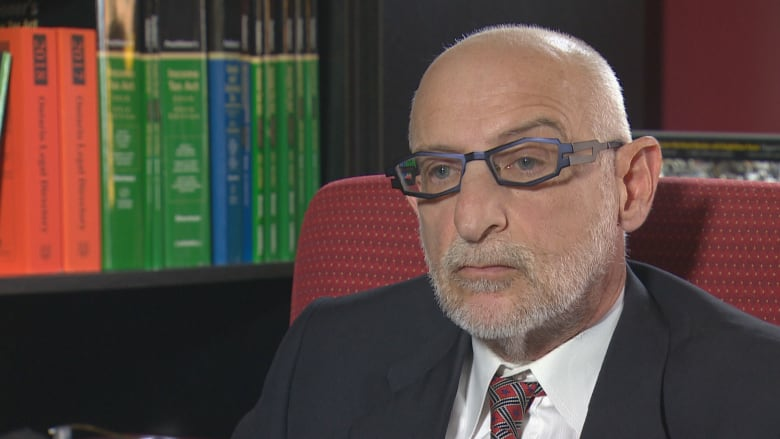 Service Canada says it was able to refund the money through a "tax reversal" available to Kazmierczak only because his EI payment mistake happened — and was discovered — within the same calendar year. In an email to Go Public, Service Canada spokesperson Amélie Maisonneuve said the tax reversal option was "overlooked" and "should have been considered" while Kazmierczak was trying to resolve his issue directly with the two government agencies. "The Department is reviewing its practices and guidance related to this type of issue to avoid the repetition of this type of situation," she wrote. Maisonneuve also said Service Canada charges the income tax on incorrect pay outs because it has to comply with provisions in the Income Tax Act. The government incorrectly either paid out or underpaid $239.5 million worth of EI benefits in 2016-2017. Taxpayers advocate Aaron Wudrick says Kazmierczak's case is a clear example of how government agencies need to "double down and do better in providing services to Canadians." For a lot of Canadians, he says, issues go unresolved for far too long and the onus is often on them to fix government mistakes. "The issue here is there was a mistake made by Service Canada and it should be on Service Canada to fix that mistake. It should not be on a totally innocent party that has nothing to do with the fact Service Canada screwed up," he said. During his fight to be reimbursed for the extra tax charges, Kazmierczak spent a lot of time on the phone with call centre agents. Access to agents is a common problem for Canadians dealing with government departments, including Service Canada and the CRA. According to its own service standards, Service Canada aims to answer EI calls by an agent within 10 minutes, 80 per cent of the time. In 2017-2018, that standard was met 73.2 per cent of the time. Most CRA service standards for 2018-2019 aren't available yet. They were either modified or implemented last April after a federal government initiative to improve services. Business and tax lawyer David Rotfleisch wants to see those results. He says the CRA is one of the most difficult agencies to deal with, and that he often sees clients frustrated when they get conflicting answers from different government agents. "[It's] an ongoing issue. People are audited incorrectly [for example], and fighting the tax man is very difficult," he said. Kazmierczak doesn't believe his situation would have been resolved if he hadn't contacted Go Public. Even after the refund was deposited into his account, he got a letter from the Social Security Tribunal of Canada telling him his final appeal was denied and he would have to pay the taxes. He ignored that letter.